New Highly Available and Fault Tolerant VPC Architecture Tutorial Utilising ELB, ENI, Auto Scaling and the new S3 Endpoints and Multi-AZ Aurora Clusters We have just added a new tutorial to the AWS Certified Solutions Architect Associate Course that applies what you have learned in the lessons and quizzes. 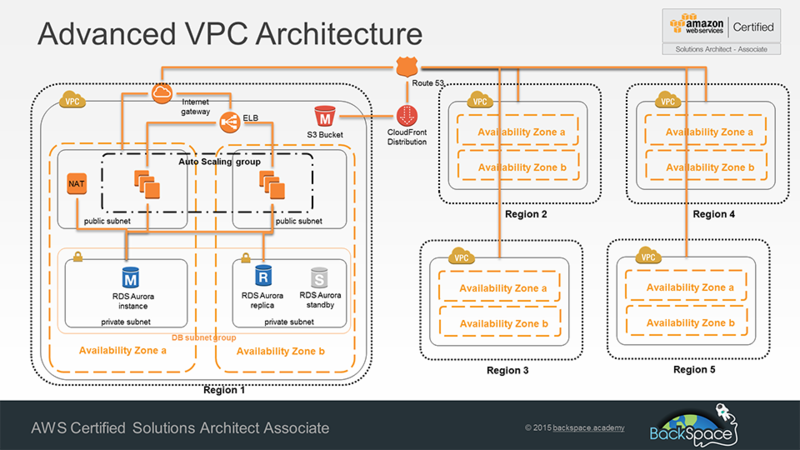 These videos cover the essential hands knowledge in AWS architecture required for certification. Look for them in the AWS Architecture Design Patterns subject.